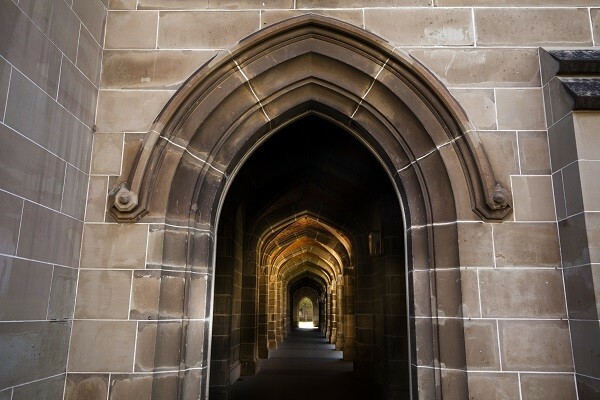 Part walking tour, part conversation over coffee, this unique exploration of the University of Melbourne’s beautiful Parkville campus will offer insight into the hidden stories behind the origins of its most significant architectural features. Discover how these beginnings echo the city of Melbourne’s broader origin myths and bear striking similarities to the foundation stories of Rome and other major cities of the ancient Mediterranean. Anyone already familiar with Parkville campus may be surprised to discover some gems hidden in plain sight. This tour is the perfect outing for anyone keen to delve into some local history, and some ancient mythology, in traditional Melbourne style – over a good cup of coffee. No prior knowledge of the campus is required. Tea and hot chocolate drinkers also welcome; hot beverages are on us. The tour leader will be Associate Professor Parshia Lee-Stecum, whose research interests include Roman mythology and cultural history. Meeting place and arrival information will be emailed to registrants in the lead-up to the event. This event is being held as part of the 2018 Being Human Festival. Founded in the UK as the only national festival of the humanities, Being Human is now a global celebration dedicated to demonstrating the breadth, diversity and vitality of the humanities.